Today I am going to do my very first DIY Post? *excited* It’s all about face and hair. 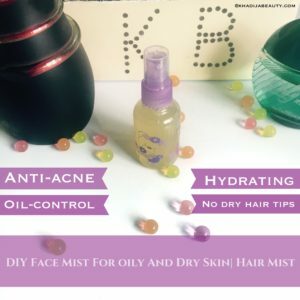 Face mists can be expensive when purchased but it is totally inexpensive when prepared at home. And the best part is you can do according to your skin condition and it will be ready in no time. The face mist which I prepared for myself was to calm down my breakouts and control my excess oil in my T-Zone. 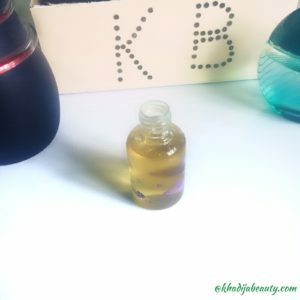 Face mists are refreshing and I use this as my toner every single day. Face mist keeps the skin hydrated and if you have an oily skin then this mist is going to keep you face oil-free, non-greasy and fresh. If you have a dry skin then this face mist is going to give your skin back the hydration and will make the skin healthy. This really worked for me and that is why I thought of sharing with you all. If you are following me on Instagram you would have been familiar with this mist because I have shared the photo of it there and FYI I am already done with one bottle. This is the second time I am preparing. 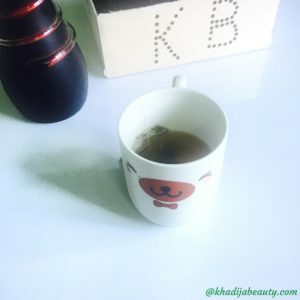 So let me quickly tell you guys how I made it and also the importance of the ingredients I have used so that you will exactly know the reasons why to add them? 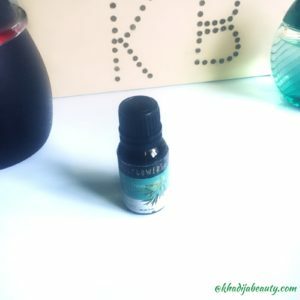 This face mist can also be used as a hair mist for hydrating the dry hair tips. The measurement which I am going to give, will work the same way no matter what the size of the bottle is! Wash your spray bottle well and then brew green tea if you have an oily skin. If you have normal or dry skin then you can use normal water too. I used green tea bag to prepare the green tea. You can make it either with the tea bag or with the tea leaves, in whatever way you feel comfortable. As many of us know, green tea is rich in antioxidants. 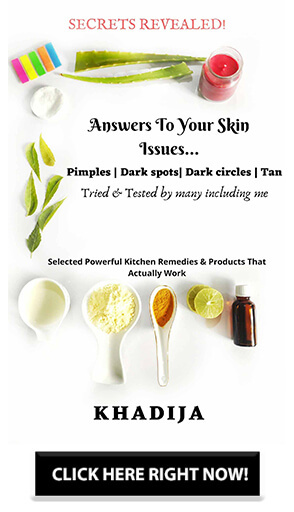 It reduces to pigmentation and it has catechins in it which helps in fighting acne and pimple. As I said it can also be used as a hair mist because green tea stimulates hair growth also. There are reports that green tea has anti-aging properties, reduces fine lines and soothes down the sunburn. Fill 1/4th of the spray bottle with aloe vera gel. Aloe Vera gel has numerous beauty benefits because they have many biologically active components in them. They possess anti-fungal property and that is why it can treat cystic acne and pimples. They possess anti-bacterial properties resulting in the killing of the bacterial cell and reducing redness of pimples. 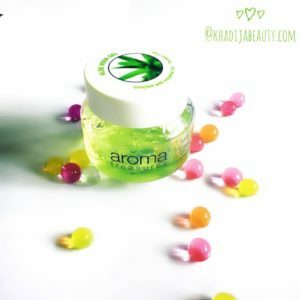 Because of its cooling effects aloe vera gel is good for soothing the pimples. Aloe vera gel is the best natural moisturiser for face and hair. It also acts as a very good sunscreen. Fill the rest of the spray bottle with green tea ( remember it should not be hot??). If you do not prefer green tree then you can go for normal water. Normal water will work well for dry skin. Make sure that you leave a little space in the bottle so that at the end you can mix up all the ingredients well. Now close the bottle and shake shake and shake so that the aloe vera and the green tea is mixed together. The consistency will be not too watery but not thick also. And the last step is to open the cap and add 2-3 drops of tea tree oil and again shake them all together. Note: Do not add too many drops of tea tree oil, else the smell will be too medicinal and strong for the nose. Tea tree oil has the antibacterial property and so it kills the bacteria that are responsible for causing pimple. That is it guys for today. Hope you liked it. Do try this at home. This will not take more than 5 minutes to prepare. I am sure you will love this once you use it on your face. 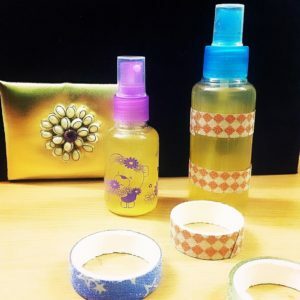 Nie DIY…Will surely try this……helpful blog?? Wow..amazing DIY..i have dry skin will try this…can we use fresh aloe vera? Thank you for the diy..
Just so wonder why face mist can cost rm60 for 16ml?? Waalaikum Assalam. I have no idea about the Malaysian market and their prices dear. Yeah you can try this. It is refreshing and gives good results. I have been wanting to try a face mist, so I will have to try this! I love this! I absolutely want to try it out! Wonderful post. I love the idea of knowing every ingredient in a product and what it is there for. They’d probably sell this same product for $20 or more retail. Will surely be giving it a try. Yay for your first DIY post! Loving the sound of the face mask – think I may have to give this a go, always looking for cheaper ways to look after my skin! And when I get my hair back I’ll bookmark that too! Thanks! 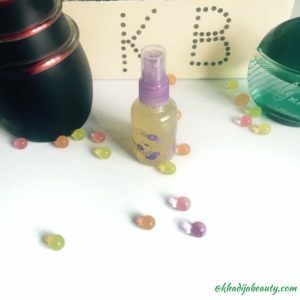 Face mist with just 3 ingredients?! That is so simple and easy! Seems effective too. Will give it a try! 🙂 Thanks for sharing Khadija! I am surely going to try this for my hair. They are so dry and lifeless. Thanks for sharing.